Boldly going into an undiscovered universe, the trailblazing governors shattered the myth that women were too weak to succeed in politics and effectively lead state government. Courage, intelligence, and integrity are their defining characteristics. Who are the six remarkable women who blazed a trail to the governor”s office? The book is published by CreateSpace and is available online and at your local bookstore. (ISBN-13: 978-1466277694). It is available on Kindle too. To celebrate the book launch, CreateSpace is offering a 20% discount to those who buy it from their e-store: Find it at: https://www.createspace.com/3677866 and use this code: WCGZ26YE–when you get to the check-out. Maggie Hassan won on Tuesday, becoming New Hampshire’s second woman to be elected governor in her own right. She will be the only female Democratic governor in the entire nation when the new year begins. Democratic Governors Christine Gregoire (WA) and Beverly Perdue (NC) chose not to run for reelection in 2012. This means there will be just 5 women governors (1D, 4R), a decline from the current six. Hassan will join Republican women governors: Jan Brewer in AZ, Mary Fallin in OK, Susana Martinez in NM, and Nikki Haley in SC. 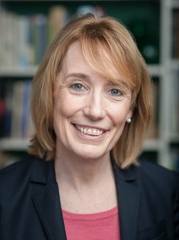 Maggie Hassan was the only woman with a major party nomination for governor in 2012 and ran for an open seat. New Hampshire elected Democrats Ann McLane Kuster and Carol Shea-Porter to the U.S. House of Representatives, and they will join U.S. Senators Jeanne Shaheen, a Democrat, and Kelly Ayotte, a Republican. New Hampshire is the first state to be represented by all women. The people of New Hampshire also elected Maggie Hassan as governor, who is the second woman elected to the state’s top position. The first was Jeanne Shaheen, who served from 1997 to 2003. 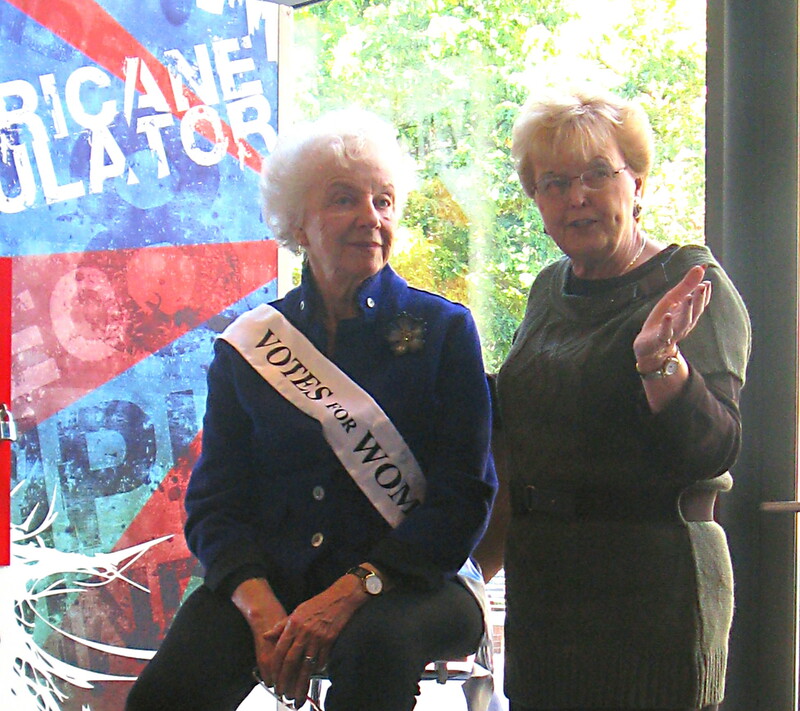 Governor Kunin was in Portland this past week to speak about her most recent book, The New Feminist Agenda. Looking back, she said, the women’s movement made some progress but not as much she expected. Women still earn less than men, only 17 percent of the Congressional seats are held by women (putting the US in 68th place in the world in terms of the percentage of women in the national legislature), and only 3 percent of CEOs are women. And, she added, it has not gotten any easier for women (and men) to balance family and career; high quality affordable child care is not as readily available as it should be. We lag behind other developed countries in terms of paid family leave. While some companies offer employees flexibility in their work schedules, most do not; this flexibility is essential for working parents to manage their multiple responsibilities. She also spoke about the rising percentage of children living in poverty in this country–again, much higher than many other developed nations and emphasized the need for policies that make investment in children, especially in programs targeted at early childhood. To make change, people need to get active. Asking us to imagine a powerpoint with three boxes, she described the three things that enable people to become active. One is anger about something. The second is a combination of imagination (the ability to see the world working differently) coupled with empathy (of understanding the feelings of others being affected by things that are not working). The third is optimism (the conviction that things can change coupled with the belief that the risk is worth it because it can make a difference). These three things are what enable people to become activists. At this point in her life, she said that is time to push for the changes envisioned when the 1960s saw the emergence of the second wave of the women’s movement. The first wave began in the 1848–women’s suffrage. Here in Oregon we are celebrating the 100th anniversary of women’s suffrage, which finally passed in 1912 after a long campaign. Governor Barbara Roberts introduced Governor Kunin. They are among the first generation of women governors–the nine women elected between 1974 and 1994. Feminists opened up thousands of doors in the 1960s and 1970s, but decades later, are U.S. women where they thought they”d be? The answer, it turns out, is a resounding no. Surely there have been gains. Women now comprise nearly 60 percent of college undergraduates and half of all medical and law students. They have entered the workforce in record numbers, making the two-wage-earner family the norm. But combining a career and family turned out to be more complicated than expected. While women changed, social structures surrounding work and family remained static. Affordable and high-quality child care, paid family leave, and equal pay for equal work remain elusive for the vast majority of working women. In fact, the nation has fallen far behind other parts of the world on the gender-equity front. We lag behind more than seventy countries when it comes to the percentage of women holding elected federal offices. Only 17 percent of corporate boards include women members. And just 5 percent of Fortune 500 companies are led by women. It’s time, says Madeleine M. Kunin, to change all that. Looking back over five decades of advocacy, she analyzes where progress stalled, looks at the successes of other countries, and charts the course for the next feminist revolution—one that mobilizes women, and men, to call for the kind of government and workplace policies that can improve the lives of women and strengthen their families. Gov. Barbara Roberts, Former Legislator, Oregon Secretary of State and First woman Governor of Oregon. In this centennial year of Oregon women”s suffrage, we have been asking ourselves, what will Oregon be like in the next 100 Years? What steps forward will our state have taken toward inclusion and prosperity? What will our legacy be to the generation that looks back 100 years from today? Help cement your legacy for the next 100 years of women”s leadership by sponsoring or attending our women”s leadership luncheon. Thursday, October 4, 2012 from 11:30 a.m. to 1:00 p.m. at the Portland Art Museum. 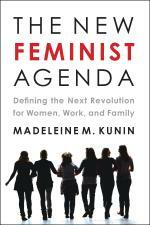 Governor Madeleine Kunin just published a new book–The New Feminist Agenda: Defining the Next Revolution for Women, Work and Family. State governors are captains of vast segments of the population with august responsibility and power. When Ella T. Grasso was elected governor of Connecticut, 99.9% of all governors had been men. The six women chronicled by Dr. Johnson won their offices by convincing voters that they could pilot their state better than their male adversaries . . . and then demonstrated that and more. These pioneering leaders were fearless and exceptional, and you can be sure that they have exceptional stories to tell. Through interviews and exhaustive research, Dr. Johnson unfolds the lives of six women who serve as models of strength and resourcefulness, beacons of hope for a nation seemingly on the brink of polarized chaos. These women blazed trails not only for women, but for all non-traditional candidates scaling the walls of the white male political fortress. 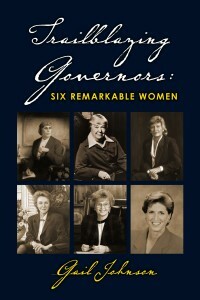 I found that I really enjoyed this book and reading about the lives of these six amazing women governors. I had in past years considered a life in politics, but after reading this book I am inspired to find my place in the political world. The author did a beautiful job of describing these women and their positions as governor withing pushing a political agenda or preference which I think added to the description of these women’s lives. Whether you’re seeking a pleasurable, inspirational, smart read or political references, Gail Johnson delivers with her concise, yet thorough, personal yet professional format and style in Trailblazers. I appreciated the brief history refresher on the women’s movement and the advice from the experienced pros. Loving good quote-keepers; I devoured the various enriching excerpts peppering the pages, from John Wayne to John Kennedy, and even Harry Potter. Not an outsider looking in, with Johnson’s skills, credentials and unique access, she escorts her readers to a real connection with these diverse, courageous pioneers, where we hear their voices and feel their spirits. We learn what made them tick and how they kept on ticking through extreme adversities while they, in the name of their passion to serve and improve lives, dared to pick up that baton, run with it, and now through this book, they pass it forward. My journey as a woman would not be complete without hearing from these leaders. “At a moment when gender politics is thick in the air, it is a good time to reconsider another online slots spring, exactly 20 years ago, when an unprecedented wave of women set their sights on Washington.